Now in Cloud 9: Lounge around in comfortable styles with Pajama Day! You could even win a Project Body Dye Ticket! Get ready to laze around all day with Pajama Day! Find a comfortable style, just for you! Now at Cloud 9 just for Angel Supporters is Pajama Day! Packed with wonderful styles, every time you open this you can find something wonderful like: Umi no Kōgō, Umami Drop: Cryptic Radiologist, Shocking Stare, Umami Drop: Haunt of Rose, Jokes On My Hair, Ellin Earrings, Woodland Deity, Warden Letti, Pout, Cavity King's Jawbreaker Kit, Artemis of the Colorful Woods or if you dream hard enough, your dreams can come true and you'll find Party Favors from 2016 or 2017, Limited Edition Collector's Passes from 2016, Super Advance Chance, Gatcha Token, Perfect Pick or even a Project Body Dye Ticket! This bundle contains Diapered Egg 8th gen., Lazy Daze, Marley Lazy Daze, Haunted Lazy Daze, Rotten Indie Inamorato, Mags' Waffle Run, The Graceful Painter, and Rotten Wasteland Devourer! The Spoiled Rotten! bundle contains Diapered Egg 8th gen., Lazy Daze, Marley Lazy Daze, Haunted Lazy Daze, Rotten Indie Inamorato, Mags' Waffle Run, The Graceful Painter, and Rotten Wasteland Devourer! Get the Good Eggs! bundle! 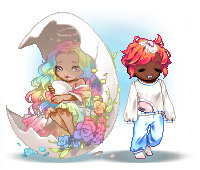 This bundle contains The Refreshing Painter, Angelic Egg, Beautyfowl, Chick It Out, Demonic Waffle Run, The Painter, Angel's Sherbert Egg, and the brand new Lazy Goddess Daze! The Good Eggs! 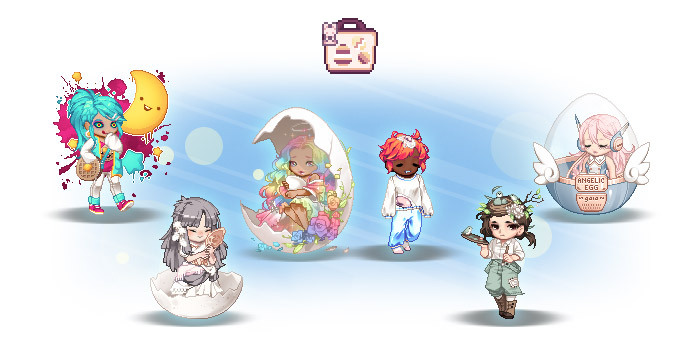 bundle contains The Refreshing Painter, Angelic Egg, Beautyfowl, Chick It Out, Demonic Waffle Run, The Painter, Angel's Sherbert Egg, and the brand new Lazy Goddess Daze! A Hoppy Pawty can be found here! 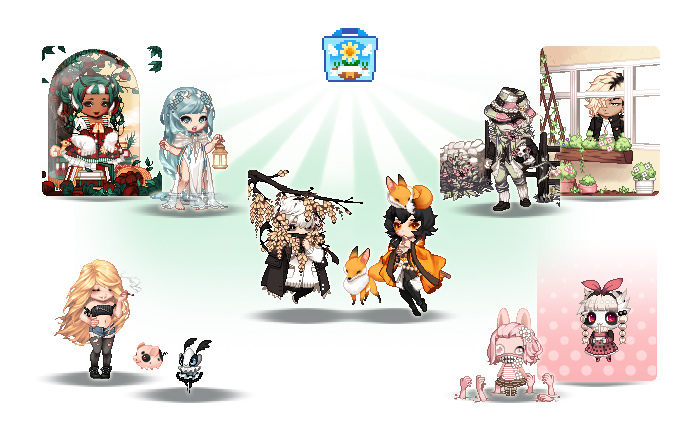 This bundle contains [Animal] Chick It Out, [Animal] Toxic Paint Shot, [Animal] White Bunny Fur, [Animal] Fatal Lop, [Animal] Corrupted Kibbles, [Animal] Breezy Bun Shot, and the brand new [Animal] Melon Moon Hopper! A Hoppy Pawty! 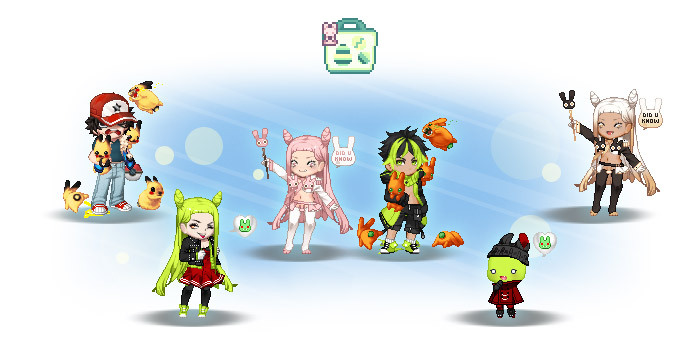 bundle contains the brand new [Animal] Melon Moon Hopper, [Animal] Chick It Out, [Animal] Toxic Paint Shot, [Animal] White Bunny Fur, [Animal] Fatal Lop, [Animal] Corrupted Kibbles, and [Animal] Breezy Bun Shot! Try out Scavenger Season to spy a favorite! 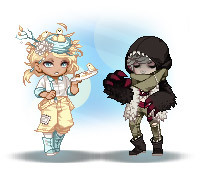 Get your hands on these Scavenger Seasons for a hopping item from the past! It's Scavenger Season! 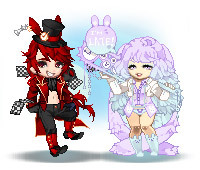 This chance item contains fashionable wonders from the past, open it up to find styles like Live My Deadly Day, Bubbly Bunny Boba, Dusky Smexiness Bangs, Greedy Shiva, Easter Pastels Succulent Bundle, Blood Fox, Opalescent Moth, Deus ex Machina, Foxorciblings, Salty Sash, Salty Devil Tail or if you're lucky, you'll find the greatest treasures of them all like a Chance Pass from 2015, a Limited Edition Collector's Pass from 2016, Gatcha Token, Perfect Pick, Perfect Parcel, or even a Project Body Dye Ticket! 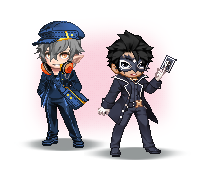 The Protagonist and Friends have arrived! See this bundle! Contains [Animal] Teddy Bear Dress-up, Devious Shadow Thief, SDPlus #529 Enigma Student Protagonist, Cunning Shadow Thief, Shadow Thief, Protagonist's Choice, Protagonist's Mystery, [Animal] Comical Teddy Bear Dress-up, Protagonist's Impasse, Stylish Protagonist's Bangs, Protagonist's Prophecy, Protagonist's Attendant, PersonaL Aurora and Moru Dorobo! 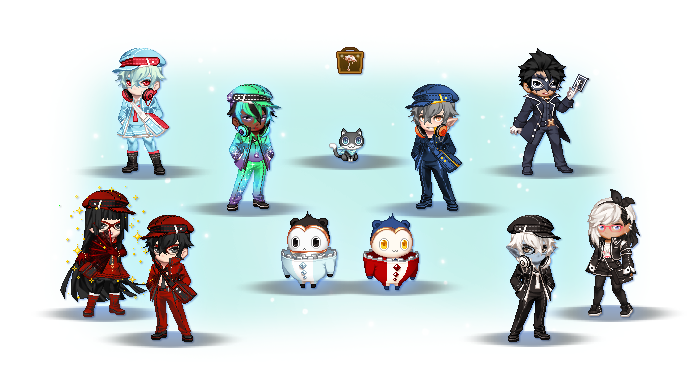 This Protagonist and Friends bundle contains [Animal] Teddy Bear Dress-up, Devious Shadow Thief, SDPlus #529 Enigma Student Protagonist, Cunning Shadow Thief, Shadow Thief, Protagonist's Choice, Protagonist's Mystery, [Animal] Comical Teddy Bear Dress-up, Protagonist's Impasse, Stylish Protagonist's Bangs, Protagonist's Prophecy, Protagonist's Attendant, PersonaL Aurora and Moru Dorobo! This bundle is Up To No Good! Get the styles to match the attitude! 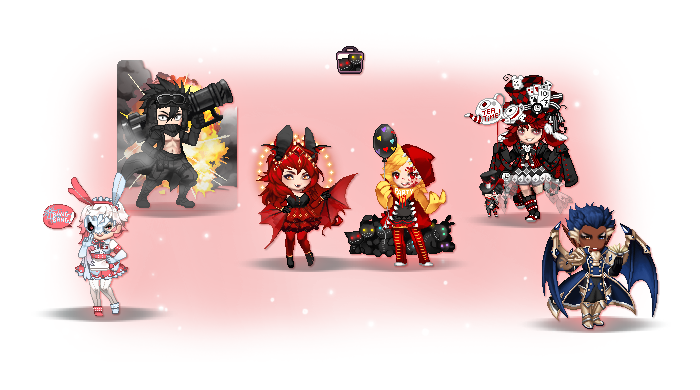 This bundle contains Gifanny's Yandere Love, Toy's Dinner Revenge, A in Peppy Maid, Classic Mad Tea Party, Sage of the Dragonflight and Fervent Launcher! 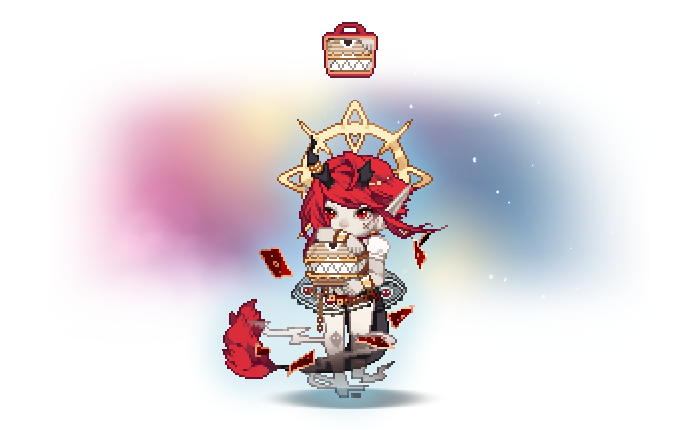 Get Up To No Good! 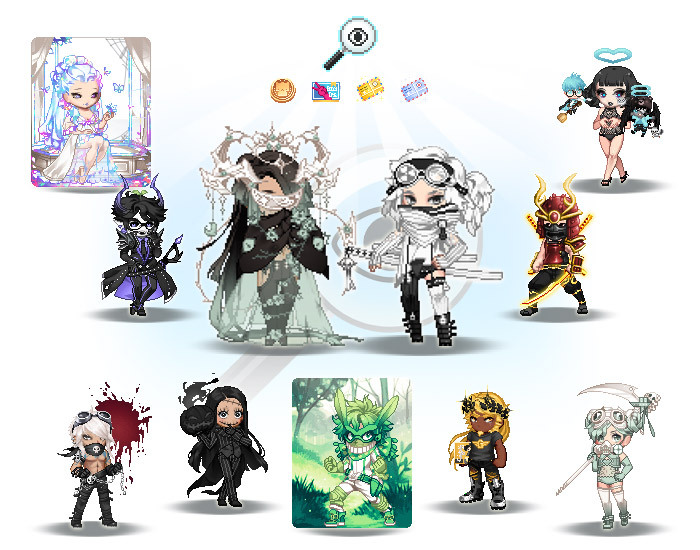 Open up this Up To No Good Bundle to find Gifanny's Yandere Love, Toy's Dinner Revenge, A in Peppy Maid, Classic Mad Tea Party, Sage of the Dragonflight and Fervent Launcher! The results are in! 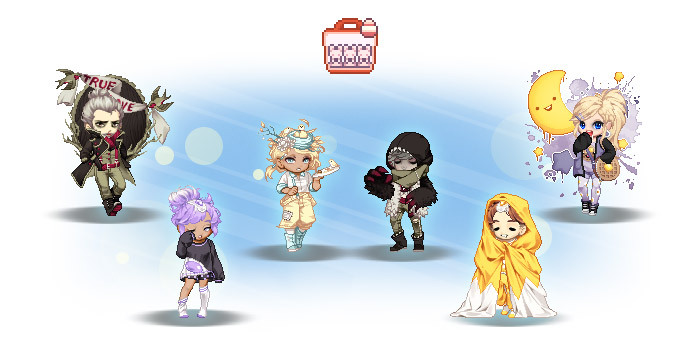 Community Picks: Spring Preening bundles are here! First you spring... then you preen! Congratulations to all of our community picks contest winners! Show off your green thumb! 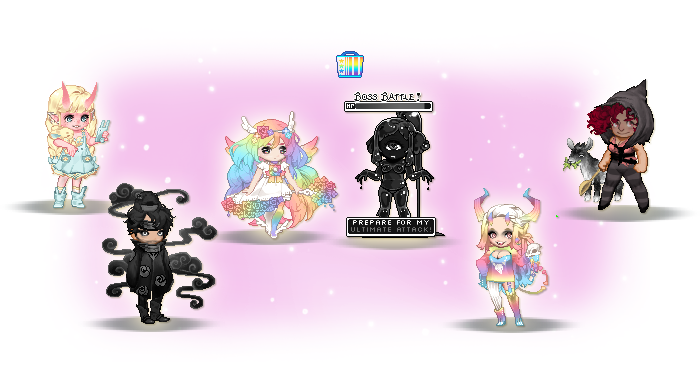 Community Picks: Spring Preening contest winners have been chosen! 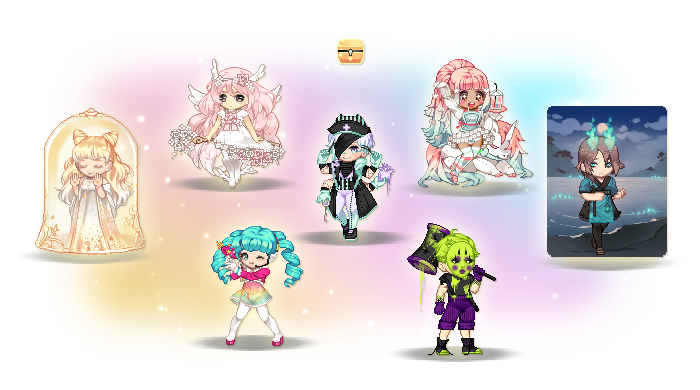 Open this up to find one of five bundles by Gaians: Orchid Dreams, buncy, freedom of peace, Thekawaiikonsumer, and Teyath! Each of these bundles has some spring favorite like Festive Pomiandi, Swamplands Circe, Cruel Cleaner, Sassy Sweet Pea, [Animal] Like Pretty Daisies, Devil's Eye, Baggy Bum, Prescient Dystopian Hero, Cathartic Baggy Bum, [Animal] Rose Bobabebe and more! Become one with the Wandering Bulls from this Bundle! 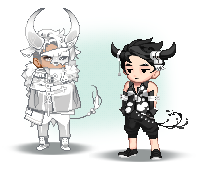 This bundle contains: Daylight Toro the Bulltaur, Taurus Mood Bubble, Frozen Ox of Yuera, B&W Taurus Mood Bubble, Wicked Taurus Locks, Mooliganigan, Punk Bullheaded Boy, Zodiacal 13th Gen., A Bulking Nose, Zodiacal: Equinox 12th Gen. and Lady Demon's Bloodlust! 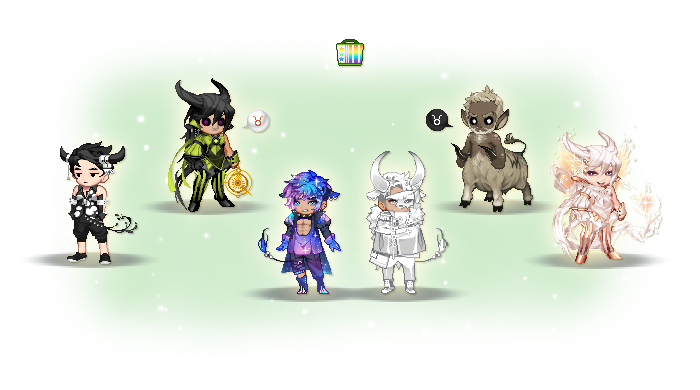 This Wandering Bulls Bundle is filled with goodies like: Daylight Toro the Bulltaur, Taurus Mood Bubble, Frozen Ox of Yuera, B&W Taurus Mood Bubble, Wicked Taurus Locks, Mooliganigan, Punk Bullheaded Boy, Zodiacal 13th Gen., A Bulking Nose, Zodiacal: Equinox 12th Gen. and Lady Demon's Bloodlust! 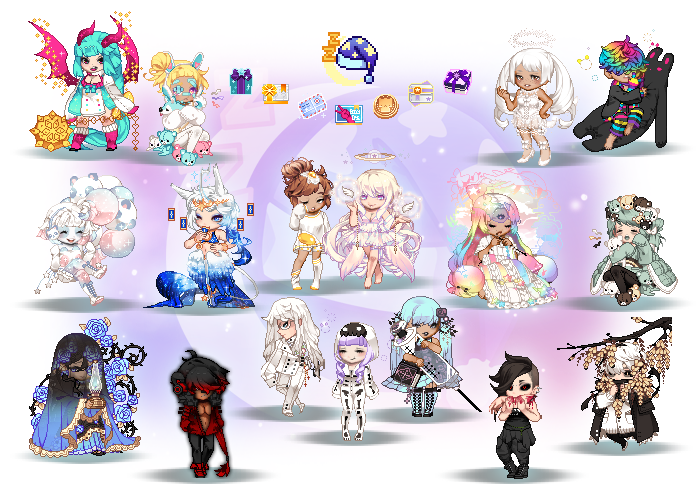 In Cloud 9: Open this Angel's Loot bundle for fancy finds! 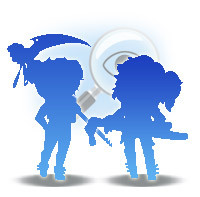 Contains: Venomous Verhakuma, Mermaid Fantasy Flavor, Radiant Moon Child, Space Kaedit, Mysterious Fire, Mahou Tenshi Hana Chan and The Melty Surgeon! 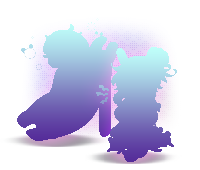 Now In Cloud 9 for Angel Supporters! 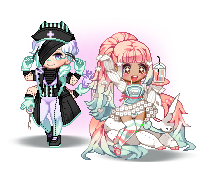 Open up this Angel's Loot to find treasures from Lucky Catch and Narwheel, this bundle contains: Venomous Verhakuma, Mermaid Fantasy Flavor, Radiant Moon Child, Space Kaedit, Mysterious Fire, Mahou Tenshi Hana Chan and The Melty Surgeon! Don't lose your marbles! Find a bundle with a whole mix of styles with Mixed Marbles! Get a colorful bundle featuring a mix of old classics and some new favorites! Don't lose your marbles! With Mixed Marbles you'll be able to open it up to find one of six bundles! Whether the marbles you get are heavy, light, mixed up or more—you'll always find something stylish like: Sailor Magnifique_un, Salty Eyes, Enchanted Harvest Moon, Sweet Let Us, Chance is Nosy, Unbearably Kawaii, Sweet Runcible Knife, Mega Glennuccino, Unbearably Creamy and Deceptive or if you dig through the bag of marbles enough you'll find a brand new recolor: [Animal] Miracle Serenitea, Everything Miserable Stinks or Softly Dangerous Duchess! 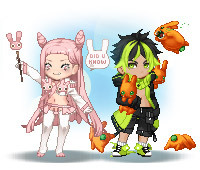 This bundle contains Did You Know, Grunny Love, [Animal] Grunny Love, [KINDRED] Diedrich, Did You Know In Barton, Did You Know In Vintage, Did You Know In Pink, Tryxachu, and Labtech Grunny Test Subject #417: Beta-C! The Grunny? I'm Home! 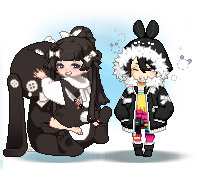 bundle contains Did You Know, Grunny Love, [Animal] Grunny Love, [KINDRED] Diedrich, Did You Know In Barton, Did You Know In Vintage, Did You Know In Pink, Tryxachu, and Labtech Grunny Test Subject #417: Beta-C! This bundle contains Unbearably Bubbly and Beguiling, Sparkles the Shooting Star Rabbit, Ancient Rabbakery, Rotten Knit Snip Buck, [Exclusive] Crimson Veggie Vampire, Gluttonous Kit, Classic Bit of Pain, and SDPlus Gaian Dark I Flavour of Life I! 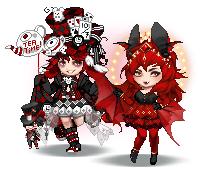 The Somebunny To Love bundle contains Unbearably Bubbly and Beguiling, Sparkles the Shooting Star Rabbit, Ancient Rabbakery, Rotten Knit Snip Buck, [Exclusive] Crimson Veggie Vampire, Gluttonous Kit, Classic Bit of Pain, and SDPlus Gaian Dark I Flavour of Life I! Grab a bundle Full of Hops! 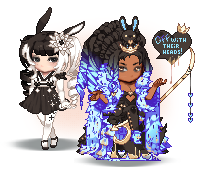 This bundle contains Empress Jewel Cotton, Turnip the Demure Rabbibega, Portrait of a True Grunny, Dear Knit Snip Buck, Fluffy Petit Lapin, Sweetheart Petit Lapin, Haigha's Tomfoolery, Sincere Rabbitually Yandere, and Confectionately Late! 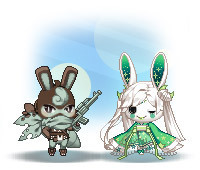 The Full of Hops bundle contains Empress Jewel Cotton, Turnip the Demure Rabbibega, Portrait of a True Grunny, Dear Knit Snip Buck, Fluffy Petit Lapin, Sweetheart Petit Lapin, Haigha's Tomfoolery, Sincere Rabbitually Yandere, and Confectionately Late! Grab this deal! 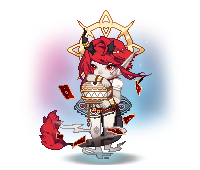 Pandora's Box has a brand new Shop The Look Bundle! 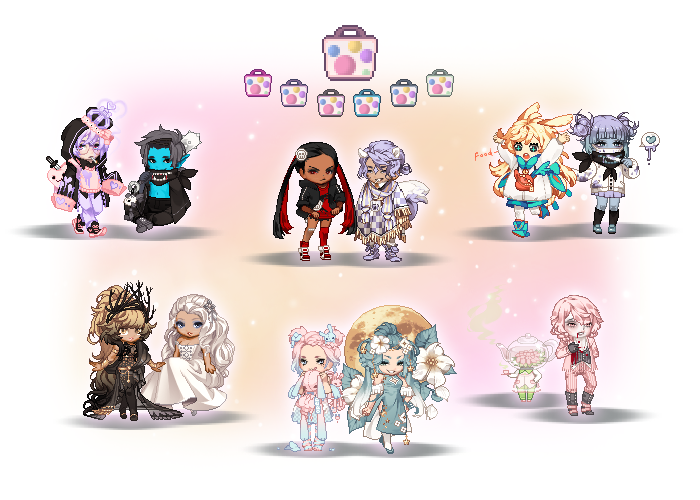 This bundle contains: Pandora's Box, Fabric Family Issues, Flirtatious Purrisienne, Aggressive Dragon of Yuera, Grizzly Subearnatural, Conjuror of the Dragonflight, Mischievous Sprite's Nose, Brave Decked Hand, Oxidized Phantom Limbs, Captivated Porcelain Dragon and Fearless Bast Friends! What answers may this box unveil? What mysteries may lie ahead? 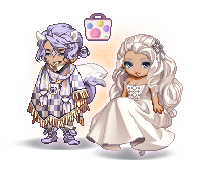 Open up this Shop The Look: Pandora's Box for a great deal on these classic items and Lucky Catch Favorites! Be the protector of this box and complete your look with styles like: Grizzly Subearnatural, Fabric Family Issues, Flirtatious Purrisienne, Aggressive Dragon of Yuera, Conjuror of the Dragonflight, Mischievous Sprite's Nose, Brave Decked Hand, Oxidized Phantom Limbs, Captivated Porcelain Dragon, Fearless Bast Friends and find the brand new Pandora's Box! There is Just a Bunch of Stuff in this bundle at La Victoire! 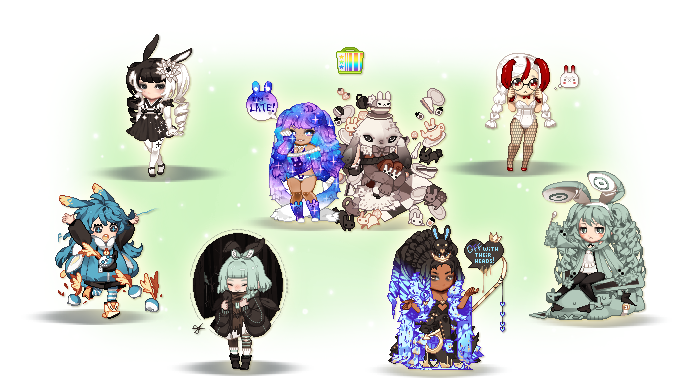 This bundle contains: Some Bunny Graces You, Sherbert Mahou Tenshi Hana Chan, Tar Slime, Tatterhood, Iron John, gnorns too, Exorvixens, Zombaby, Mystical Elf Ears and Suikakage! 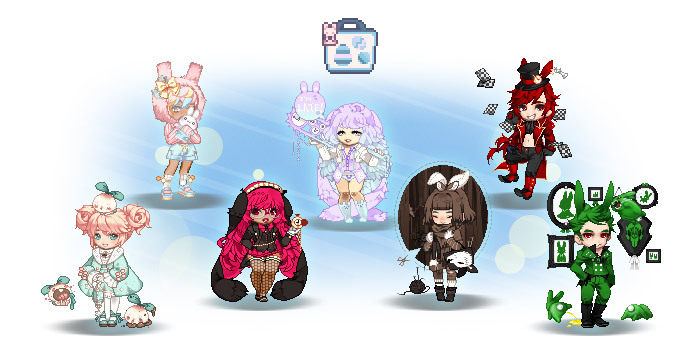 This Just a Bunch of Stuff bundle contains: Some Bunny Graces You, Sherbert Mahou Tenshi Hana Chan, Tar Slime, Tatterhood, Iron John, gnorns too, Exorvixens, Zombaby, Mystical Elf Ears and Suikakage! This bundle is packed with a Buncha Bunnies! 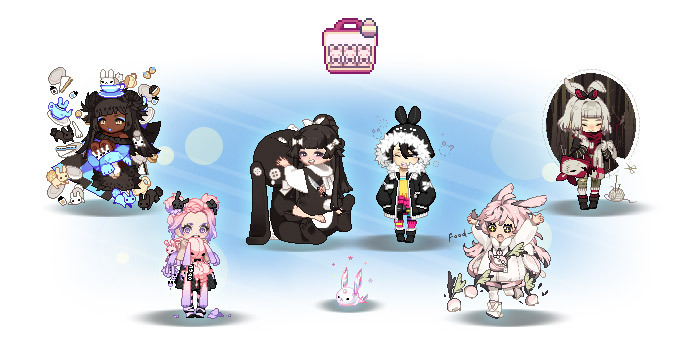 This bundle contains: Hidden Rabbit of the Onyx Moon, Ochiba Gluttonous Kit, Mousse Rabbakery, Breezy Rabbitan, Blushing Fluffi Bunni, Ammit’s Impatience, Quick Knit Snip Buck and Cosmic Rabbitually Late! 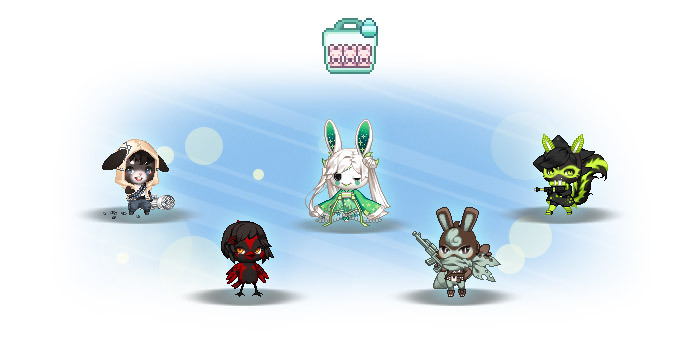 This Buncha Bunnies Bundle contains: Hidden Rabbit of the Onyx Moon, Ochiba Gluttonous Kit, Mousse Rabbakery, Breezy Rabbitan, Blushing Fluffi Bunni, Ammit’s Impatience, Quick Knit Snip Buck and Cosmic Rabbitually Late! 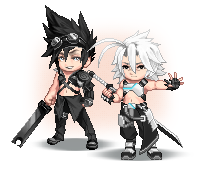 There's a sword for every occasion! Grab the Sharp Looks bundle for sharp styles! 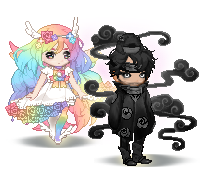 This bundle contains Silent Prince of the Sea, Madame Rouge, Breezy Soul, Antique Beautiful Weapon, NeoGaia Mercenary, Aggressive Dragon Hunter, Moonlight Blade Specialist, The Warden, Abysswalker and Dark Car Boi! 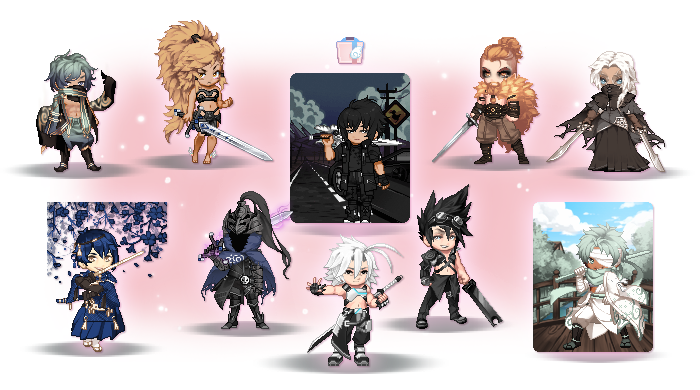 This Sharp Looks Bundle contains Silent Prince of the Sea, Madame Rouge, Breezy Soul, Antique Beautiful Weapon, NeoGaia Mercenary, Aggressive Dragon Hunter, Moonlight Blade Specialist, The Warden, Abysswalker and Dark Car Boi!